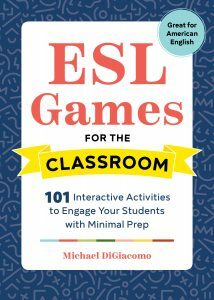 Hey guys it’s Michael here from Happy English. These days it’s pretty cold here in New York and it seems like winter is really starting to set in even though it’s still technically the fall. New York winters are really tough and I’m not a big fan of the cold weather. But, the cold weather does bring some of my favorite holidays with it like Thanksgiving day, Christmas day, and my mother’s birthday. She’s going to be 89 next month, and she’s doing awesome. I hope when I’m 89 I can do half the things that she can do. Today we’re going to look at some phrasal verbs using set. 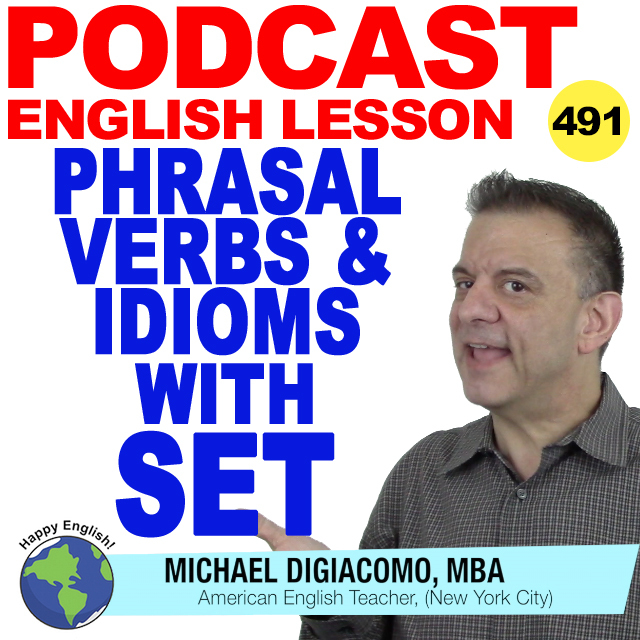 I teach a lot of phrasal verbs here on the podcast and on my YouTube channel because learning phrasal verbs not only makes your English sound more natural, but it will help you out if you happen to be taking one of those tests like TOEFL or TOEIC. Are you ready? Let’s check them out. Joe made a call to set up a meeting with his accountant. I set up a few classes on Saturday. The travel agent helped me set up a tour to Machu Picchu. Jane is thinking about setting up her own company. I set up Happy English in 2010. Jimmy set up a volunteer group to help keep the beach clean. Kim set aside some money to take a vacation in Europe. I set aside a nice bottle of champagne for New Year’s Eve. Kate bought a beautiful dress and she set it aside for her sister’s wedding. The delayed shipment of material set the production back. When I was driving to Florida, a traffic jam on the highway set me back two hours. I was hoping to finish my work early today, but a few unexpected meetings set me back. I heard the cold weather has really set in in Canada. In New York it seems like winter has set in early. When I was cleaning out the garage, I felt a pain in my back. It seems like my muscle pain has set in again. I set out to make this podcast to help people improve their English. I set out to start my own business when my last company went bankrupt. Last weekend I set out to buy a suit, and I ended up buying a suit, a pair of shoes, and a winter jacket. We may get some extra days off at the end of the year, but nothing is set in stone. The boss said he is not going to change his mind about making us work on the weekend. I guess it’s set in stone. I am not going to cancel my vacation next month. It’s set in stone. My grandfather set up shop near Wall Street in the 1930s. I set up shop on Madison Avenue. Joe is going to set up shop in the West Village. I want to buy a house and I set my hopes on an old house in the countryside. I set my hopes on taking a cruise in January. Don’t set your hopes on playing golf this weekend, the weather forecast looks like rain.